Count on Premier Ophthalmology’s complete Optical Shop to give you a full range of eyeglass options for adults and children. Our experienced opticians will help you make the best choices to meet your style and vision needs with a wide selection of designer frames – all competitively priced – as well as lower-priced frames for every budget. As an authorized Maui Jim dealer, we provide both prescription and non-prescription Mauis. We can also make prescription sunglasses, in any frame, with polarized lenses to help reduce the glare from the sun. We offer safety glasses, swim goggles and sports goggles for adults and children. Choose from a large selection of children’s frames, including Miraflex and Dilli Dalli. We can help you decide on continuous-curve or standard bifocal and trifocal lenses, and we are also more than happy to advise you on all of the various coatings available. Our goal is to help you maximize your value as well as your visual clarity and eye protection. If you need a pair of eyeglasses immediately and have a relatively common prescription, we may have your lenses in stock for a suitable frame to give you a new pair on the same day you come in. 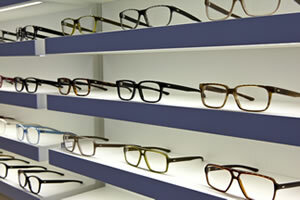 We place a premium on getting you a pair of much-needed eyeglasses as quickly as possible. Choose from the newest soft and rigid contact lens materials available in the market. Dr. Jacoby provides contact lens fittings for patients who are nearsighted, farsighted, have astigmatism and those who need just a little help with reading. And, we’ll set you up so that you can conveniently get contact lens refills as you need them. Call us at 770-787-6200 to discuss your vision needs or make an appointment for a contact lens fitting.